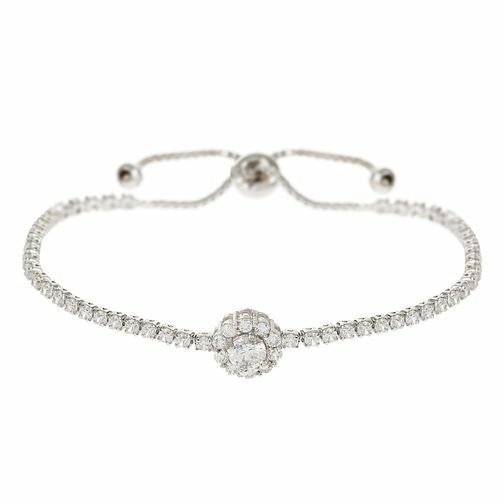 Get set to sparkle, with this glittering cubic zirconia set bolo bracelet by Mikey, styled with a dazzling daisy shaped charm. London based jewellery designer Mikey specialises in unique, wearable glamour for all occasions. Mikey Silver Tone Cubic Zirconia Daisy Adjustable Bracelet is rated 5.0 out of 5 by 1.